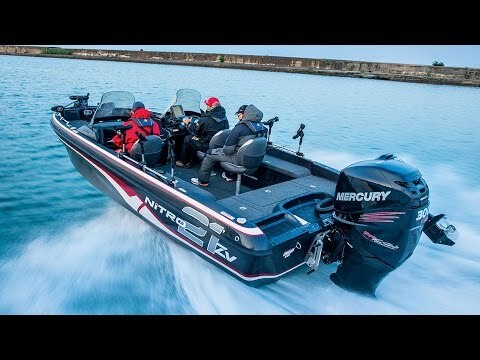 250HP Mercury Pro XS, 9.9HP Mercury Pro Kicker, Motor Guide Xi5 105lb. thrust trolling motor, Lowrance HDS 9, and Lowrance HDS 12. Max. weight capacity : 2500 lbs. Approx. package weight: 5500 lbs.